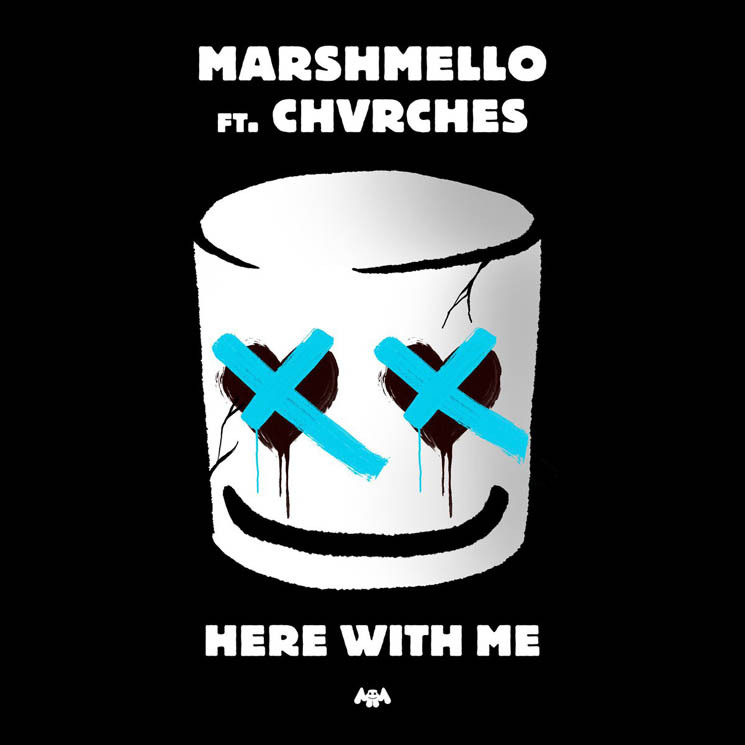 It's an exciting day for artists with intentional typos in their names — Chvrches and Marshmello have joined forces for a new song called "Here with Me." It hears the Scottish indie rockers and marshmallow-headed DJ collaborating for the first time, and the results are annoyingly catchy. Listen to "Here with Me" below. Chvrches latest LP, Love Is Dead, arrived last year. Marshmello, meanwhile, released Joytime II last year, as well as a collaborative single with the late rapper Lil Peep.